How Did Nickelback Become The Most Hated Band In The World? Music History How Did Nickelback Become The Most Hated Band In The World? Music fans may not agree on much, but everyone seems to recognize that Nickelback is the worst band in the world. Why is Nickelback hated? There isn't any one definitive answer to this question. The public's fluctuating taste couples with the band's seemingly limited musical catalog to partially explain why music fans hate Nickelback. These fans have not been shy about showing their hatred, pushing back against a band that was, for a time, incredibly successful. Since Nickelback formed in 1995, they've sold more than 50 million albums. Their earlier songs have been chart-topping hits, making them one of the most successful musical acts in Canadian history, and they've played to million-person crowds all around the world. However, this wave of success soon started to turn on them, and a history of Nickelback hate began to overtake any public love and appreciation they may have once experienced. Many of Nickelback's songs sound similar to one another, and fans have noticed. One astute listener compared the band's songs, and found such notable similarities that NPR asked "Can a band plagiarize itself?" Nickelback bassist Mike Kroeger commented on the similarities, saying "When you have a distinct style, you run the risk of sounding similar." His point is well taken, but at the same time, if your distinctive style is limiting your creativity, shouldn't you try to tweak a few things? Music isn't a static medium. Sure, there are formulas that work, but after a while, recording the same record over and over stops feeling creatively fulfilling. Also listeners get really sick of it. "It was after this point, according to the report, that existing hate and ridicule exploded. Full-blown memes, non-stop jokes, and all-out protests soon became the norm. It was the proverbial linchpin that sparked the unstoppable explosion." 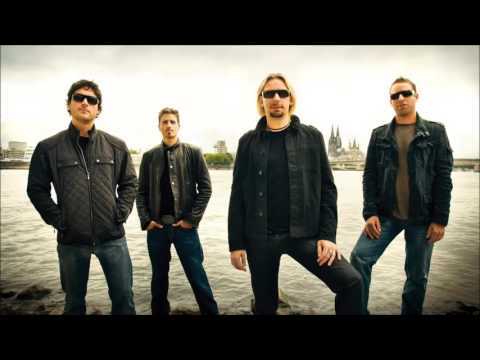 Football fans were less than thankful when Nickelback was announced as a halftime performer for the Detroit Lions' 2011 Thanksgiving Day game. A petition was launched to have them removed from the schedule, and nearly 56,000 people signed it. The petition's creator said "This game is nationally televised, do we really want the rest of the US to associate Detroit with Nickelback?" The band ended up playing one song. People will do some pretty ingenious things to avoid feeling uncomfortable, and the Nickelblock web filter is proof of that. When you install Nickelblock, any and all mentions of Nickelback are removed from your web browser. Nickelblock's existence demonstrates how deep the prevalent anti-Nickelback sentiment runs.